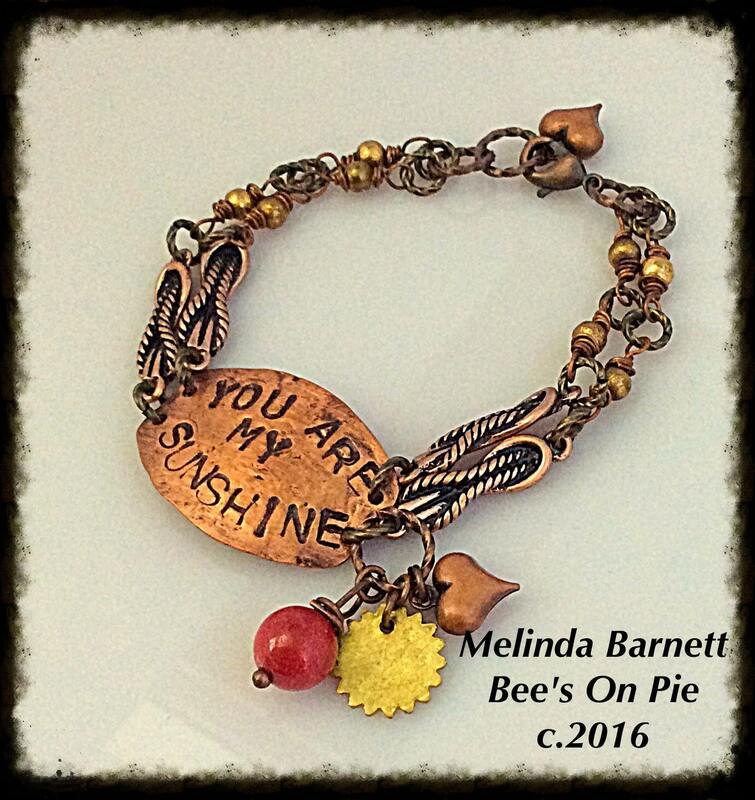 Meet the newest member of Queene Bead Design, Melinda Barnett. Melinda is a MUCH published mixed media and assemblage jewelry design. Her talent is off the charts. Melinda will be selling her jewelry from my page, Queene Bead. I am very excited to have her join me. "My mom used to sing this to me," said Melinda. Hand-cut, hand-stamped, hand-finished copper tag. Vintage knot links. Handmade chain. The red bead is candy jade. The dye-cut sun bead was imported from Mexico.